Benjamin Moore is an MK (Missionary Kid) who clearly presents a subject here which confounds even seasoned, veteran Christ followers. Click the title header below to read at source, and then take a few minutes to check out the rest of his site, including articles written in Spanish. Do you know what the rarest resource is? Time is our most precious gift. Once it’s gone it’s gone. Every second that passes is another second you can’t get back no matter what. We know this and I think that is why we try to hold on to it so tightly and control it. The reality is that it is God’s time, not ours. Time belongs to Him. Notice Jesus says “My Time,” twice. We work on his agenda, not the other way around. I struggle with this. And I know I am not alone. In other words “Hey, Jesus, we think you need to go now”. But it wasn’t up to them. It was up to Jesus. And like His brothers, I am sure you struggle with this as well. We like to play little gods and be in control of what happens and when it happens. But that is God’s place. You don’t have control, He does. Job 14:5-7 (NLV) A man’s days are numbered. You know the number of his months. He cannot live longer than the time You have set. God is so in control of time that He has your days numbered. It shouldn’t cause us stress but instead, it should move us into courage because when it’s your time it’s your time. This is encouraging because now you don’t have to walk around frightened by the unknown because the unknown to us is laid out before God. Give up control is not what we like to hear. But just because you don’t like something doesn’t change the necessity for you to do it. Stop trying to be in control of Time. It will only frustrate you. You will always come to the same conclusion. You can’t do anything about it. Turn back the hands on your clock but that doesn’t change anything. That will just make you late for work. Time slips out of our hands like water and we are helpless to do anything about it. So as you give up control and as you wait, its good to know how God views time. 2 Peter 3:8 (NIV) But do not forget this one thing, dear friends: With the Lord, a day is like a thousand years, and a thousand years are like a day. God is not bound by time like we are. He is not restricted by it. So He is never in a hurry to do something. God’s calendar only has one square on it and it’s labeled eternity. 2 Peter 3:9 (NIV) The Lord is not slow in keeping his promise, as some understand slowness. Instead, he is patient with you, not wanting anyone to perish, but everyone to come to repentance. Notice this crazy insight Peter gives us into how God’s sees time. And the Psalmist actually said it before him. Psalm 90:4 (NIV) A thousand years in your sight are like a day that has just gone by, or like a watch in the night. Based on this we just can’t expect God to see things the way we do. Can you imagine what God thinks we say things like I running out of time? Good thing for us God’s timing is always perfect. We might feel like time is running out but God knows when it will be the best time for His plans to take place. Just think of Jesus birth and how it was predicted thousands of years before He was born. When the fullness of the time had come, God sent His Son, made of a woman, made under the law (Gal 4:4). When the fullness of time = God’s perfect timing. So if you are in a time of waiting don’t worry because God’s timing is always perfect. We Shall Be Like Him: How Exactly? Over the years, I’ve heard many people speculate about heaven. What will it be like? In this post, I want to suggest that the main thing about heaven we ought to look forward to is the perfection of our character more than the pleasantness of our circumstances. In the text above, John wrote that “when he appears we shall be like him.” There are no doubt many things about our heavenly likeness to Jesus that I do not yet understand, but here are at least three ways I look forward to being like my Lord, not just partially but completely. Free of sin. John said, “If we say that we have no sin, we deceive ourselves, and the truth is not in us” (1 John 1:8). The truth is, we struggle. As long as we live in this broken world, we will never be free from the painful process of grieving our sins in a godly way, repenting of them, and seeking God’s forgiveness. Won’t it be wonderful when we graduate from this remedial school and live in God’s realm where the battle against sin in our hearts is completely behind us? Forever faithful. The struggle against sin is essentially a struggle to remain true and loyal to our Father. When we realize what we’ve done, it breaks our hearts to know we’ve committed treachery against a God who has never betrayed us even once. Jesus never betrayed His Father. He was always faithful. And the day is coming, for those who have been redeemed and reconciled to God, when we will be just as perfectly faithful to the Father as He is. I long for that day with all my heart. Full of joy. Joy comes not from being patted on the head and told how wonderful we are. It comes from doing what is right — i.e., it is a by-product of purity in our character and faithfulness to God. Let no one tell you that joy has nothing to do with your character or your conduct. What we look forward to in heaven is the perfect restoration of our character to God’s holiness. When that goal is reached, we will be as full of joy as Jesus is. And that is something to look forward to! At present, we are “works in progress” as far as our Christlikeness is concerned. In an important sense, growth in the resemblance of our character to that of Christ is what being a Christian is mainly about. By our Father’s grace and with His help, we are “perfecting holiness in the fear of God” (2 Corinthians 7:1). It is the hope of being like Jesus in eternity that moves us to make progress toward that goal right now. So after saying “we shall be like him,” John says that “everyone who has this hope in Him purifies himself, just as He is pure” (1 John 3:3). Today we’re back at the devotional page of Susan Barnes, who most recently has been working her way through I Corinthians. Click this link, to see the full index, or click the title below to read this one at source and comment. I only have to look at my garden to know that God’s kingdom has not fully come. I still have weeds! And when God’s kingdom fully comes not only will I not have weeds, but, “there will be no more death or mourning or crying or pain” (Revelation 21:4). Heaven is described in terms of a city. God isn’t taking us back to the garden but rather to a “city with foundations, whose architect and builder is God” (Hebrews 11:10). A city with foundations speaks of permanence, of security, and of community. The garden was a graceless state – one wrong decision and Adam and Eve were out of there. Heaven, however, is a permanent destination. God’s grace is so amazing that we gain more than we lost in the Garden. The forgiven person is better off than before they sinned because God not only forgives us but credits us with righteousness (2 Corinthians 5:21). We start our Christian lives with a righteousness we could never have achieved for ourselves. However we are not, as Paul says, “already been made perfect.” We still live with the difficulties and inconveniences of a broken world with broken people and nothing works like it should. Nevertheless let’s press on to gain all Christ died to give us (Philippians 3:12). God is waiting for a face to face meeting with you and me. At the moment no matter how clearly we may think we hear from God we always lose something in the communication. We only see “as in a mirror” but the day is coming when we will see face to face and then we will really know. Really know how much we are loved, how much we mean to God and how much He wants to be with us. Part two will run tomorrow, or you can read ahead by clicking the link at the bottom of this page to see it on Clarke’s blog. Do we need to bring back hell-fire and brimstone? Preachers don’t seem to preach on hell as often these days, and for that some people are very grateful. Others think that something important has been lost. The good folk at Calvary may or may not have noticed I rarely use the word “hell”, preferring to refer to “separation from God”. But is there even such a thing as being cast out from the presence of God? There are those who would say that God is so loving, that everyone will be saved in the end. That might be what we would like the Bible to teach. But is it? 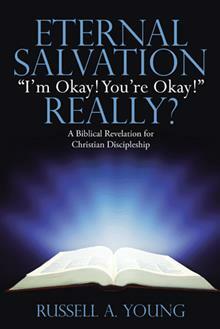 The Bible is clear from the get-go that separation from God and His goodness is a consequence of rebellion against Him. Adam and Eve were driven out of the Garden, the place where they could fully experience the presence of God, plus the way to the tree of life was guarded. Death became a reality, a sure thing. The gift of life was taken back. While it is clear that judgement against sin results in death, it is also clear that Jesus came to give us life. But perhaps Jesus came to give everyone life? The Bible is clear that though Jesus came to give us life, people can say “no thanks”. Would we as imperfect Dads go and force an adult child to return home, locking them up in our living room? God invites people to call him Father, but he gives people the freedom to people to say “no, I’m not coming home”. There is such a thing as being cut off from God and his goodness. Hell is therefore a reality. So, time to bring back fire and brimstone, right? We will consider that in Part 2. …An ending and a beginning all at the same time. If that’s not a metaphor for the Christian faith in terms of living and dying, then I don’t know a better one! The idea that strikes me is that the end of this life is the beginning of the next chapter; the chapter we call eternity. As a generation raised on Science Fiction, we’re probably more attuned than previous generations to the dimension of time. Biblical scholars tell us that the New Testament scriptures are less preoccupied about future concerns and more focused on living the Christ-follower life in their here and now. Though our bodies are dying, our spirits are being renewed every day. For our present troubles are small and won’t last very long. Yet they produce for us a glory that vastly outweighs them and will last forever! So we don’t look at the troubles we can see now; rather, we fix our gaze on things that cannot be seen. For the things we see now will soon be gone, but the things we cannot see will last forever. For we know that when this earthly tent we live in is taken down (that is, when we die and leave this earthly body), we will have a house in heaven, an eternal body made for us by God himself and not by human hands. We grow weary in our present bodies, and we long to put on our heavenly bodies like new clothing. We launch our prayers into eternity, but as we pray in Jesus’ name we have an intermediary who has lived under the same temporal and spatial limitations as we. That eternity will soon be our home. When we keep eternity in view — and when we pray into eternity — I think we have a reason to worship. Today we’re beginning something new at C201. 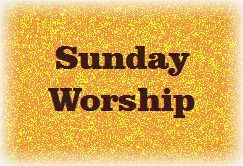 Each Sunday when you come here you’ll see the same title, Sunday Worship, with an article or study which revolves around some aspect of that theme, which as most of you realize, involves much more than music. But this priest “blessed Abram.” Is that backwards?